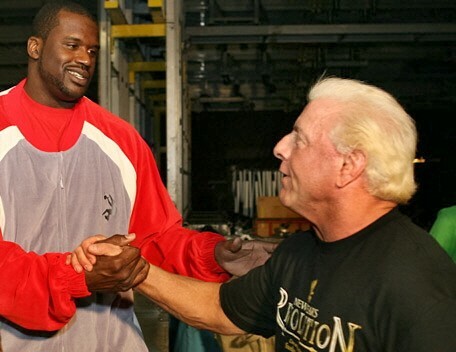 RIC FLAIR SHAKING HANDS WITH SHAQUILLE O'NEIL. 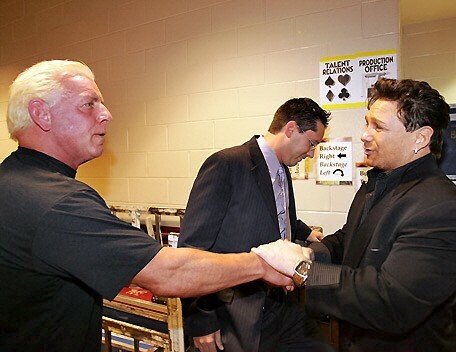 RIC FLAIR SHAKING HANDS WITH THE "PAZMANIAN DEVIL" BOXER VINNY PAZIENZA. 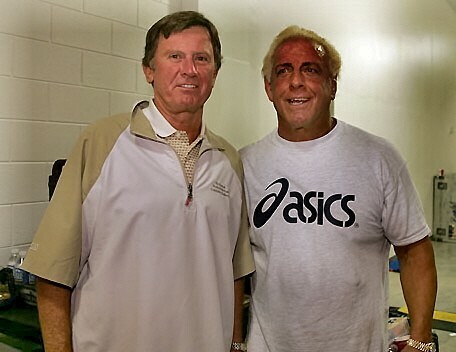 RIC FLAIR WITH STEVE SPURRIER, THE COACH THAT LED THE FLORIDA GATORS TO THE NATIONAL CHAMPIONSHIP IN 1996 AND THE CURRENT COACH OF THE SOUTH CAROLINA GAMECOCKS, HE IS A BIG RIC FLAIR FAN. 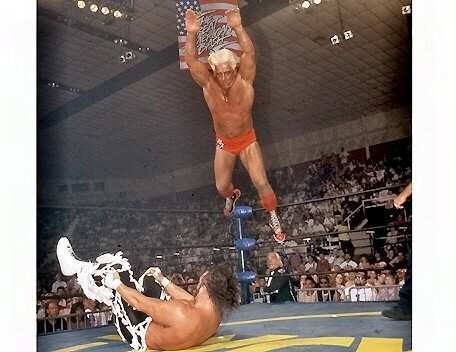 HAVE YOU EVER SEEN HULK HOGAN FLY LIKE THIS? 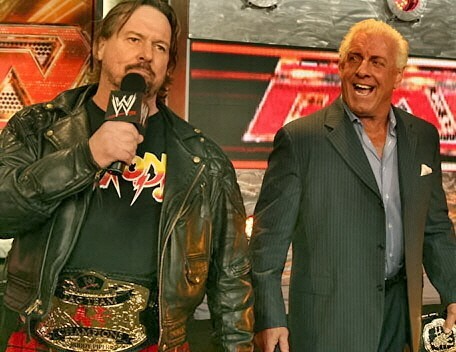 RIC FLAIR AND RODDY PIPER AFTER THEY WON THE WORLD TAG TEAM TITLES. DO YOU THINK RIC FLAIR LIKES LOOKING AT CANDICE MICHELLE? 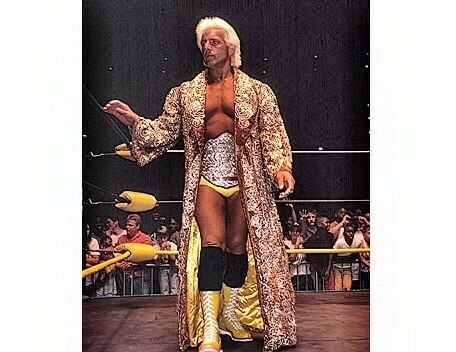 RIC FLAIR IN A BEAUTIFUL TWENTY THOUSAND DOLLAR ROBE THAT ONLY HE COULD LOOK GOOD IN. 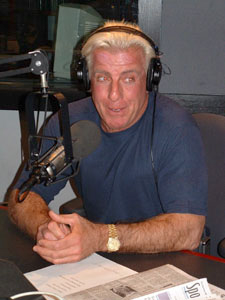 RIC FLAIR WITH HEADPHONES ON, LOOK AT THE ROLEX WATCH HE HAS ON HIS ARM. 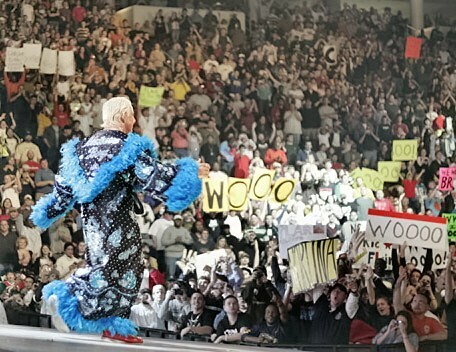 THIS IS A GREAT PIC OF RIC FLAIR WALKING THE ISLE, AND LOOK AT ALL THE WOOO SIGNS IN THE AUDIENCE. RIC FLAIR AT THE GREAT AMERICAN BASH FROM 1988. 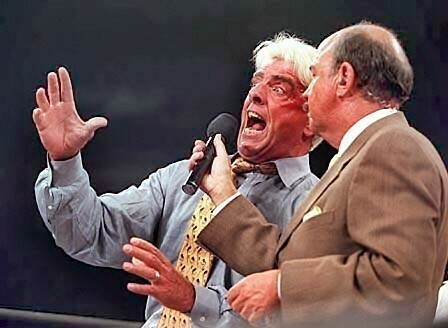 MEAN "WOOOO" GENE, NOBODY CAN DO A INTERVIEW LIKE THE "NATURE BOY" RIC FLAIR.